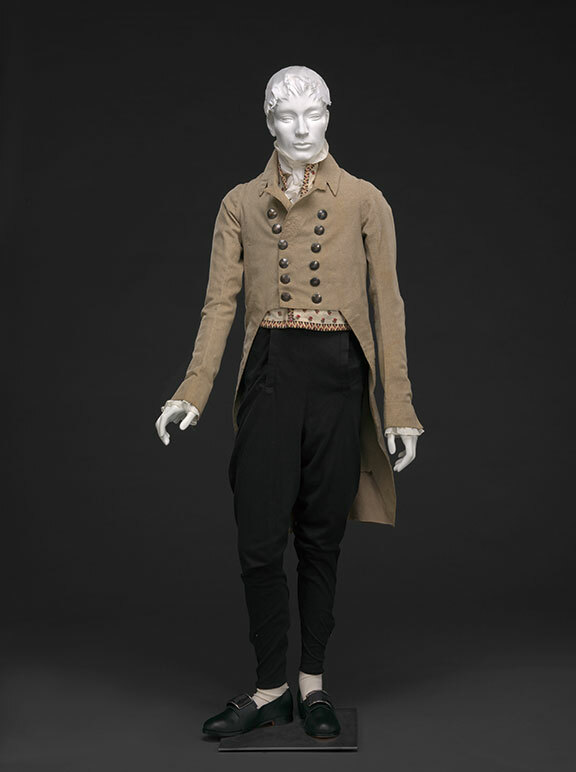 Men’s clothing saw the influence of democracy in a different way: trousers, formerly worn by laborers and sailors, “trickled up” into style, a dramatic change from fashion’s usual dynamic of trickling down from the aristocracy. Trousers were ankle-length and generally somewhat loose-fitting, as befits a garment made for physical labor; their more snug counterpart, pantaloons, also came into style about this time. 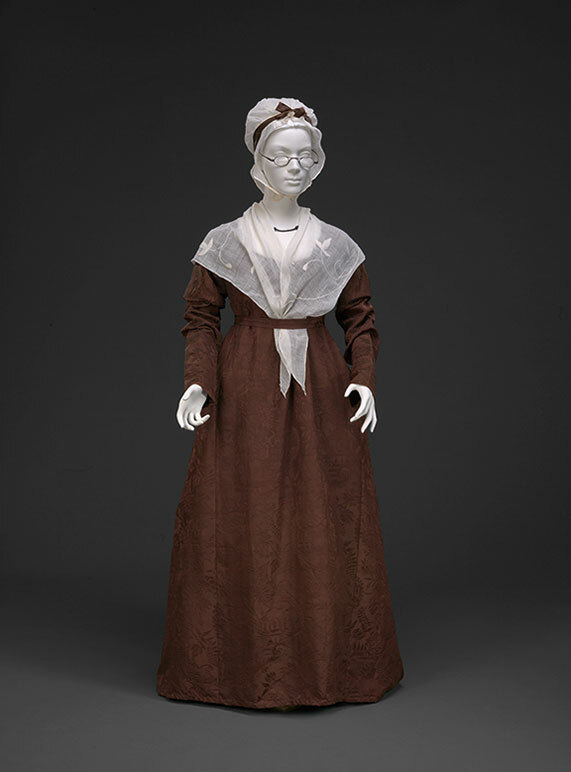 Both garments were initially reserved for informal wear and were first adopted by younger men on the forefront of fashion. Gradually trousers would eclipse both pantaloons and breeches in popularity. 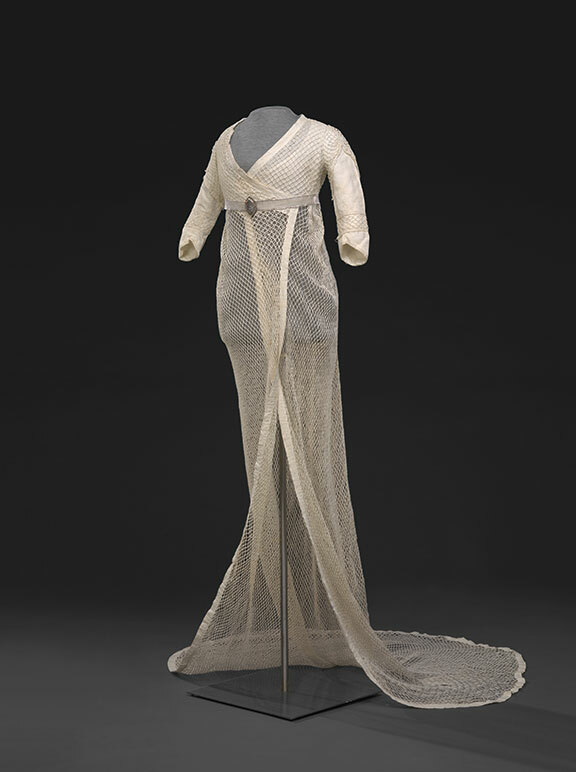 Fashion-forward women sought to mimic the soft drapery of ancient statues. 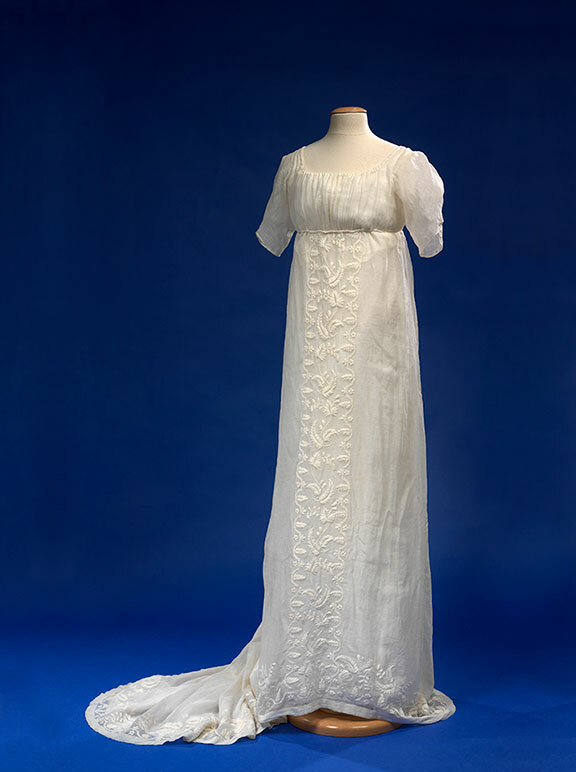 Waistlines were nearly at armpit level, and the slender body-hugging dresses, made of soft, clinging cotton muslin, revealed the feminine form as it had not been revealed in hundreds of years. 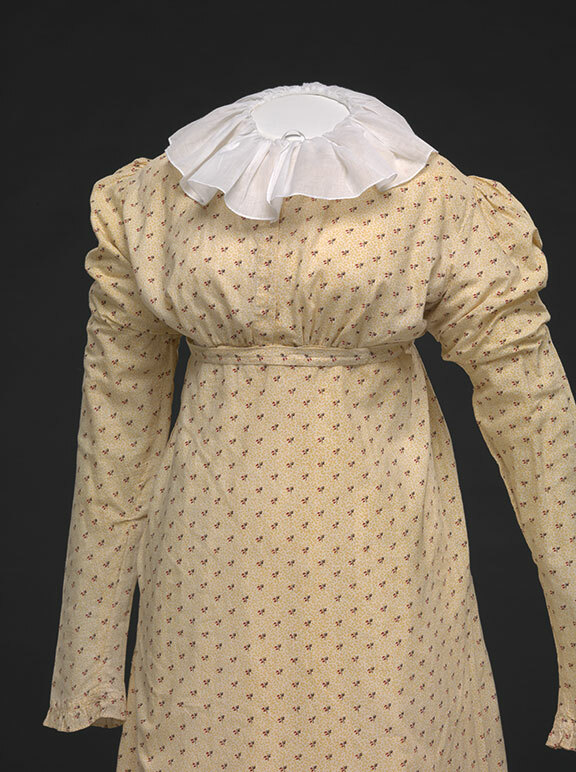 Lowered necklines in the front and back and exposed elbows, considered ugly in earlier fashions, shocked many eyes. Quite a few Americans (like some English conservatives) deplored these revealing styles. 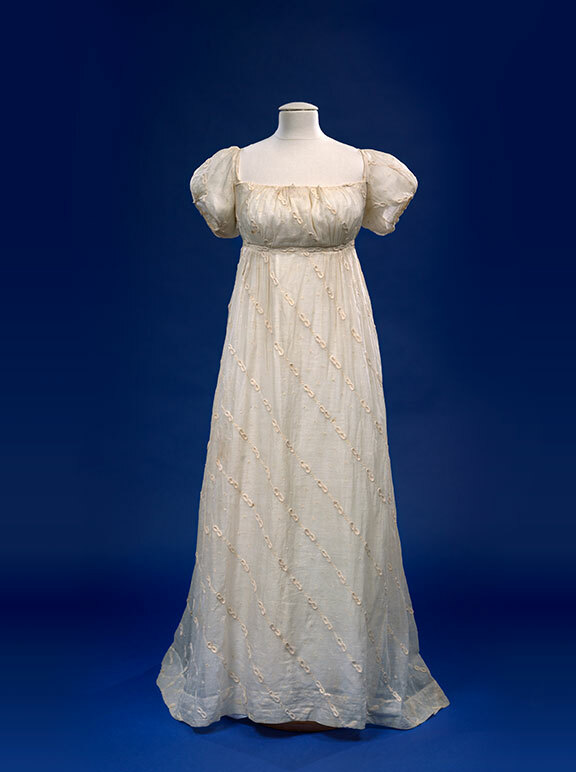 Surviving soft, sheer muslin dresses in the Greco-Roman style prove that some American women wore the shocking new style, whether with a minimum of underlayers to make them cling or with more substantial silk underdresses. On the other hand, most Americans modified these styles considerably. 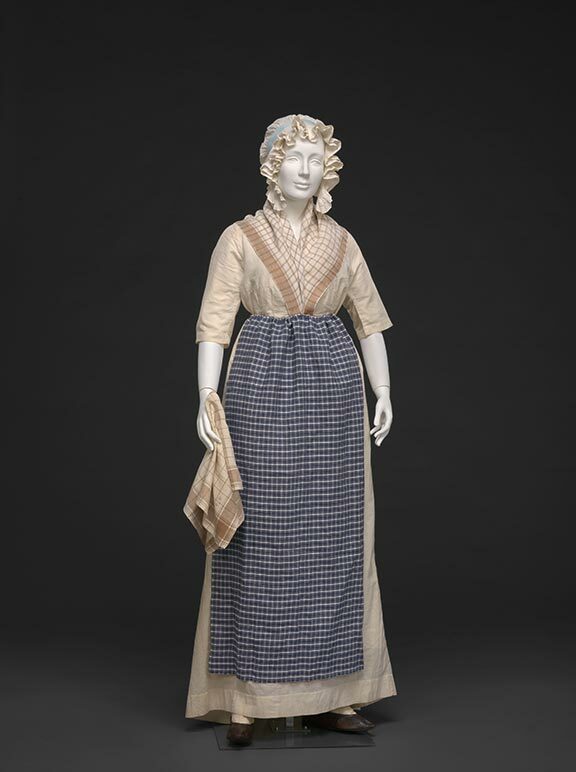 Printed cottons, heavier cottons, silks and woolens were still more common than sheer muslins. Men’s fashions echoed women’s silhouettes, with higher waistlines and narrower silhouettes than ever before. 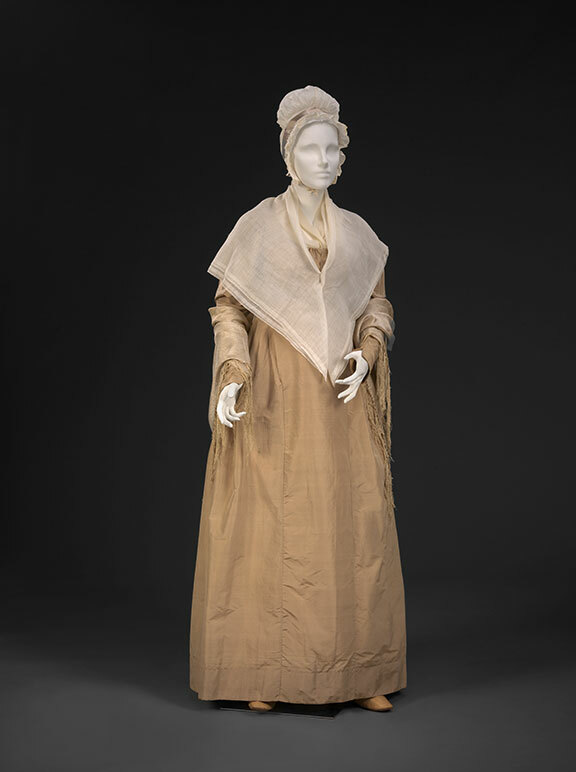 Coats began to be more heavily tailored, usually cut away in front with tails behind. Coats’ sleeves were long and collars high. 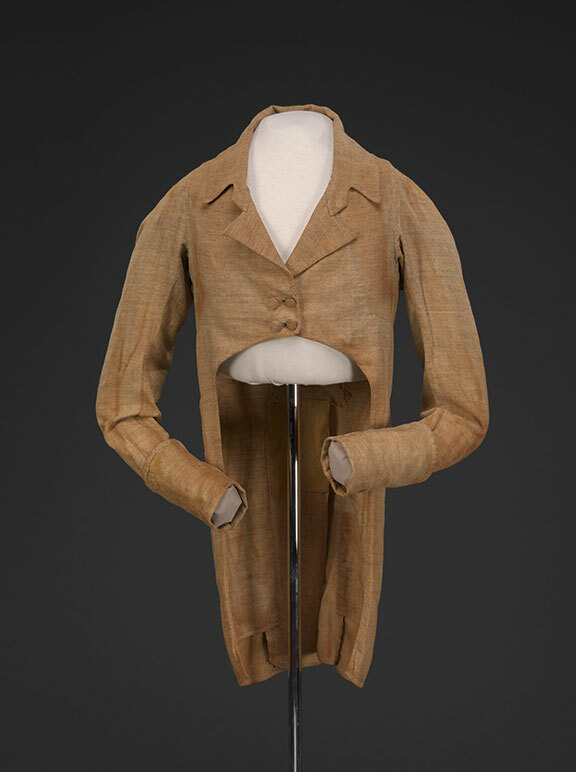 The shirt collar rose in concert with the coat, and long narrow cravats—lengths of white muslin—replaced the stock as neckwear. Working class men often wore colored shirts and checked or printed neckcloths. Tensions between American and Europe are on the rise. In 1807, English imports became illegal. Then, in 1809, trade with both England and France—and their Caribbean colonies—were banned as well. Yet again Americans try feebly to produce fabrics at home and in our young textile factories.